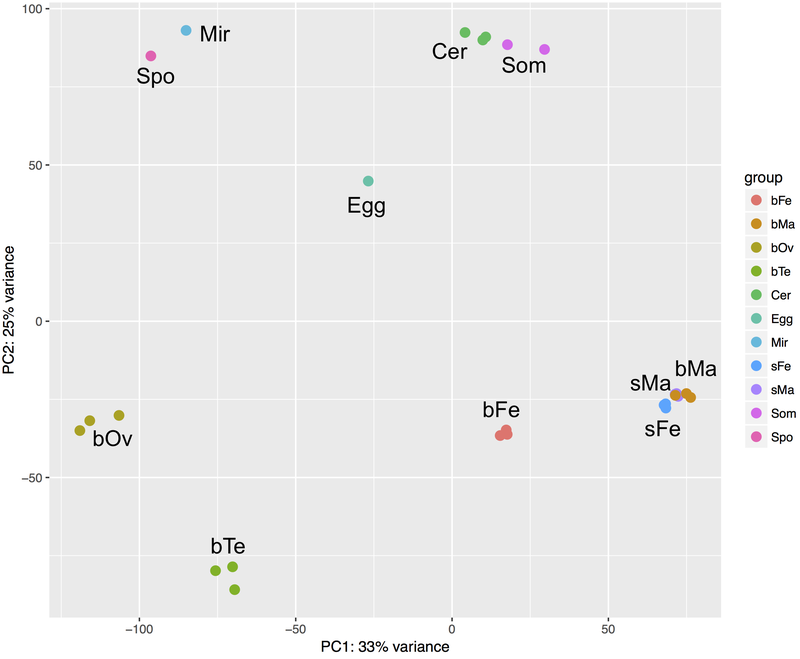 Note that there are variations in S. mansoni strain and definitive host in these studies. 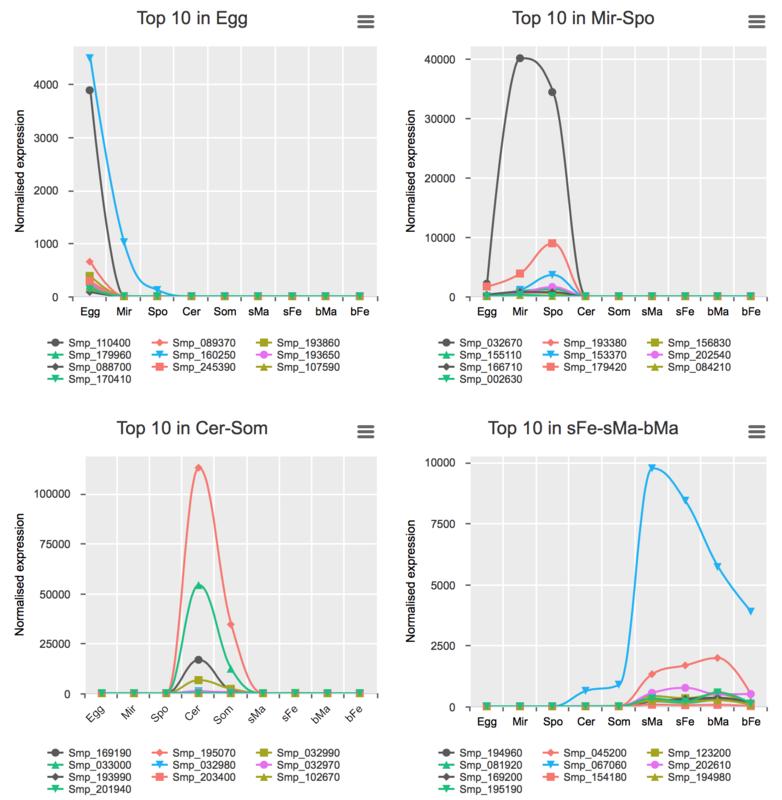 Reads were mapped to S. mansoni genome annotation V5.2 using HISAT2 (v2.1.0) for egg and STAR (v2.4.2a) for the rest samples. Counts per gene were summarised with featureCounts (v1.4.5-p1) on the latest annotation (GeneDB data on 10/07/2017). Read counts were normalised in edgeR (v3.16.5) using the TMM method1 and differential expression was analysed using the GLM approach (glmFit() and glmLRT())2. RPKM values were calculated based on normalised library sizes3 and mean values were used for biological replicates (indicated as “Normalised expression” in the charts). Click on each figure to see the interactive logFC-logFDR volcano chart. I did but it’s generally not recommended for samples without biological replicates. using the GLM approach (edgeR) and set fold-difference < 1.5 between bFe and any other life stage. using the R package Normfinder and select those with lowest stability values. 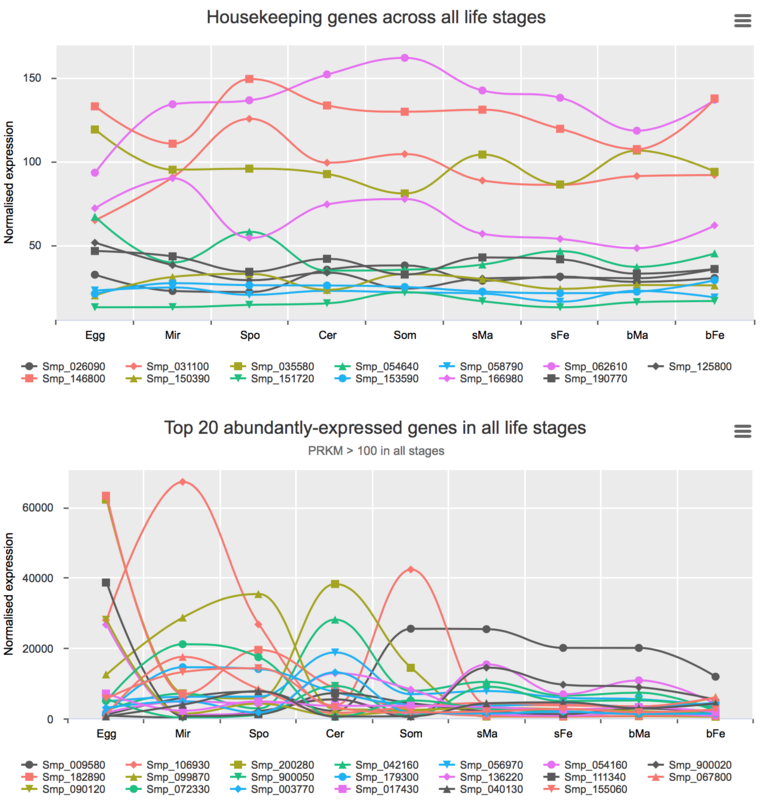 Most abundant gene transcripts were calculated by ranking the mean expression values (before normalisation) of all samples. You can find the interactive charts here. These analyses were performed for all stages excluding bTe and bOv (Details). Preferential expression was calculated using GLM approach to compare the expression of one stage to the average of the rest (FDR < 0.01 & higher expression than any other stage). 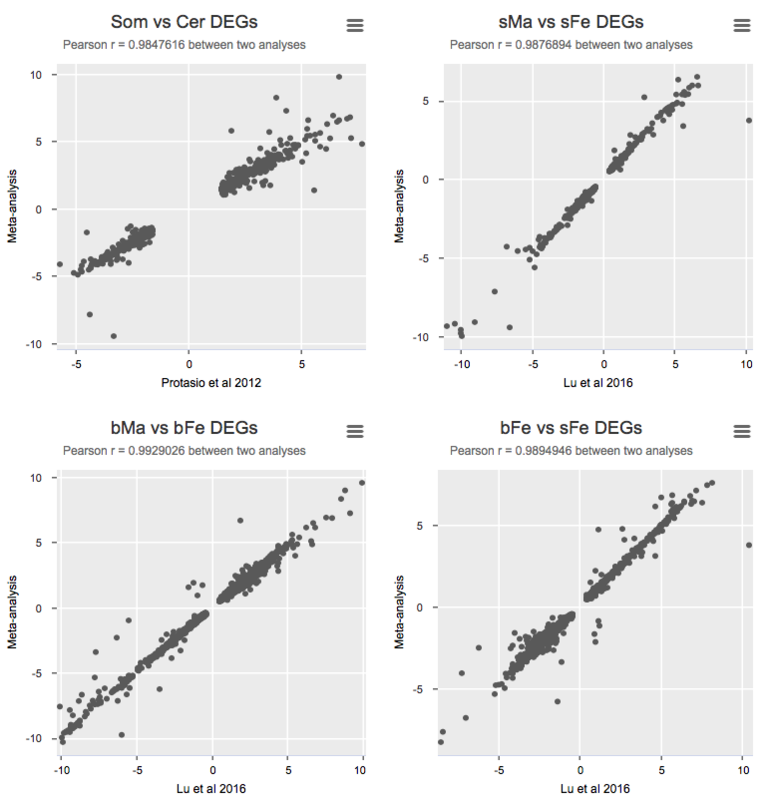 To validate the meta-analysis, I selected differentially expressed genes (FDR cutoff 0.01) and calculated Pearson correlation for logFC between the original study and the presented meta-analysis (Details).